This view copyrighted by the Union News Company is based upon the late 19th century view of John Murphy. 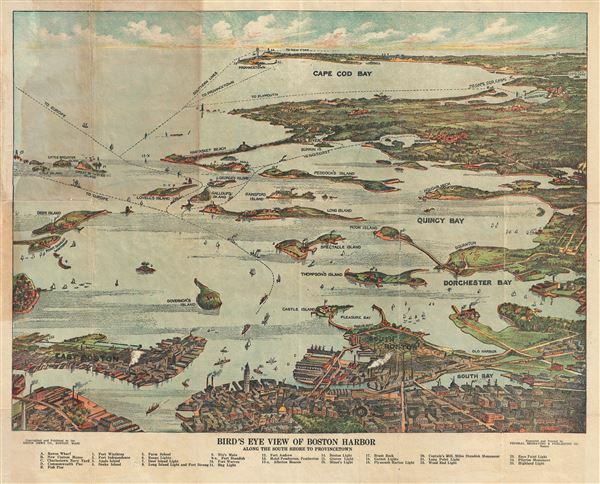 This view was engraved and printed by the Federal Engraving Co., and published by the Union News Company, Boston, Mass. Very good. Minor wear along original fold lines. Some toning near top left quadrant. Minor spotting. Professionally flattened and backed with archival tissue.